The successor project “Smart Learning – Use of media in online training” focusses on the implementation and testing of a purely online course concept and the joint use of the smart learning infrastructure by several institutions. The premiere goal of the successor project is the preparation of new online content and courses and the required technical adjustments with a different focus on three education institutions. An online training, functioning as a preparation course in accounting, will be created with the collaboration of the Fachinstitut für Informatik und Grafikdesign (FiGD) as a partner and then be tested by all three education institutions. For the Berufsbildende Schulen (BBS 1) Uelzen as a practice partner shall be found out by the use of on energy course, how self-learning with the support of learning analytics instead of classroom assistance is possible. For the Handwerkskammer Berlin as a practice partner it is about the extension of the existing course for building energy consultants, which will be offered again in 2018. Only with even more comprehensive digital media it is possible to meet the needs of the target group for flexibly usable learning content. Fraunhofer FOKUS is the coordinator of the project. In order to enable the use of the smart learning infrastructre by the institutions involved, the technical and didactical/ qualification basics need to be developed first. Afterwards, the demand-driven digital media for the online courses will be created. The learning advices for the usage in online courses will be optimized from the technical point of view. For a better involvement of the participants, a gamification-component and an easy to operate communication tool will be established. Moreover, the lecturers profit from the improvement of the editors. During the running of the course, the works will be evaluated extensively and the results will be made available to the public. This project is funded by the BMBF (Bundesministerium für Bildung und Forschung) under grant agreement number 01PD17002D. 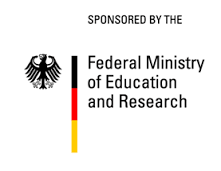 The Fraunhofer FOKUS competence center Future Applications and Media (FAME) coordinates the project and develops the technical components, such as the responsive learning app, personalized learning recommendations and adaptive learning paths.